Hannah joined Smythe and Co. Real Estate in 2013 working as an administrative and marketing coordinator for the team. 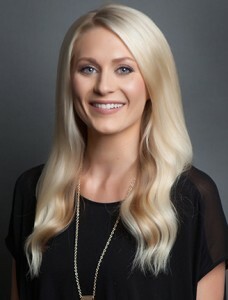 Graduating from Purdue University with a Bachelors in Communications, and working as a front office specialist for Hamilton Facial Plastic Surgery, Hannah has the expertise in customer service, media, marketing, and office organization. Hannah works alongside managing broker Tanya Smythe to coordinate listing and closing transactions, marketing via direct mail, social media, and print advertising, as well as behind the scenes support to ensure an enjoyable and efficient experience for our clients.